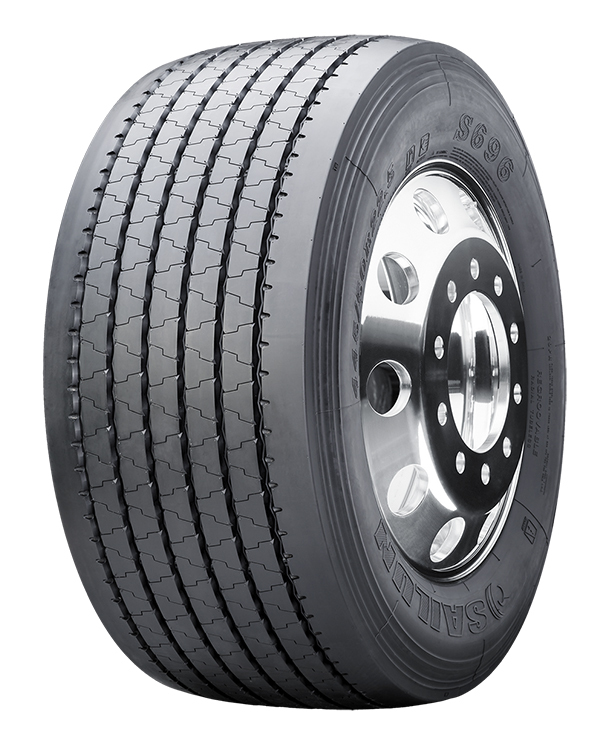 The S696 is a long wearing 13/32nd tread depth tire designed for tandem trailer applications. 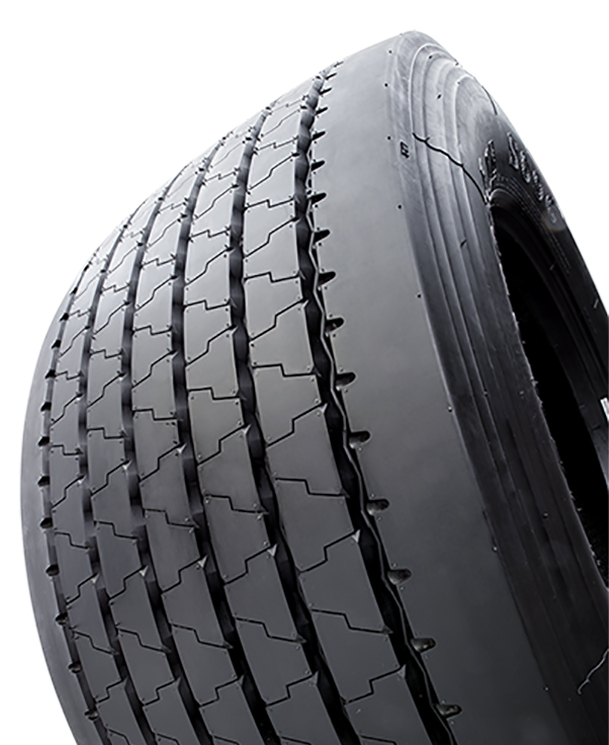 The wide shoulder rib is designed to stand up to lateral scrubbing and resist irregular wear that is common in this application. Light weight to improve fuel economy. Long wearing for low cost per mile. Alternative low cost option for trade trailers. 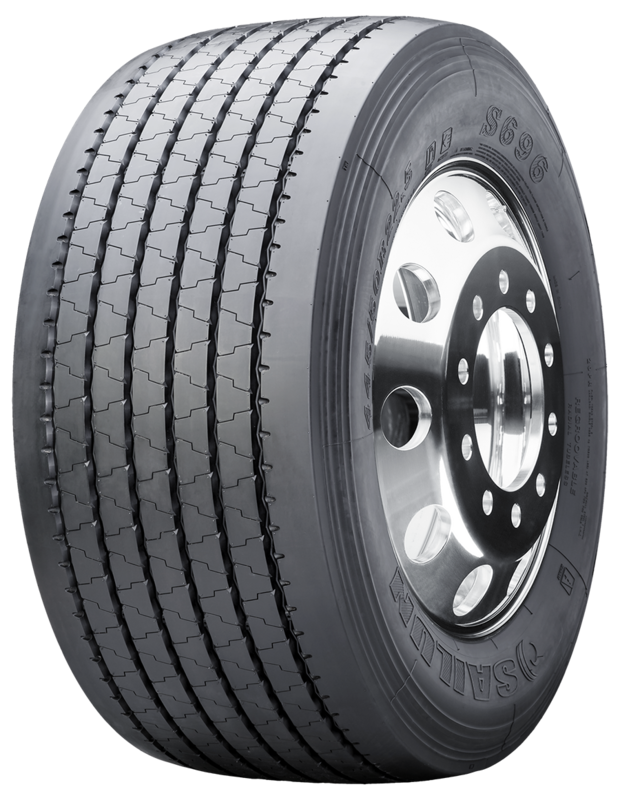 SmartWay Verified for lower rolling resistance and excellent fuel efficiency on highways.